There’s a growing buzz about choline and for good reason. Choline is essential for a healthy pregnancy and healthy brain development at all ages. 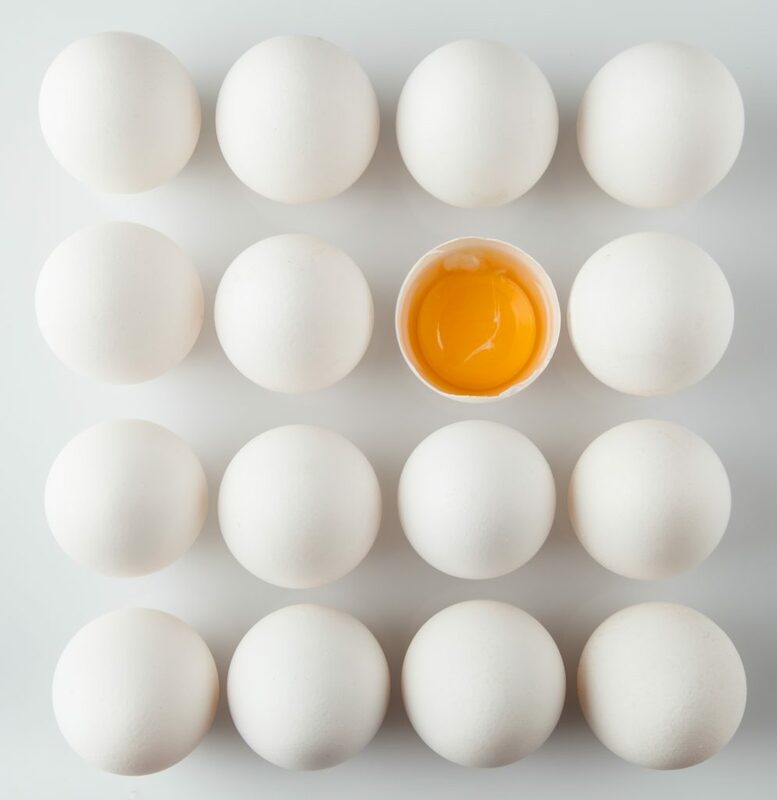 And while choline was officially recognized as an essential nutrient in 1998, it’s only recently been added to the list of nutrients which can be voluntarily disclosed on Nutrition Facts Tables in both Canada and the USA. One of the main roles of choline is to produce a specific neurotransmitter called acetylcholine which plays a crucial role in sending messages from your brain to your muscles. During pregnancy, choline helps prevent the development of neural tube defects in the growing baby. Choline also helps to move fat out of your liver, which can prevent nonalcoholic fatty liver disease. According to the National Institutes of Health, there may be a link between choline and better cognitive function and memory as we age. Ongoing research is exploring the connection between choline and heart health too. 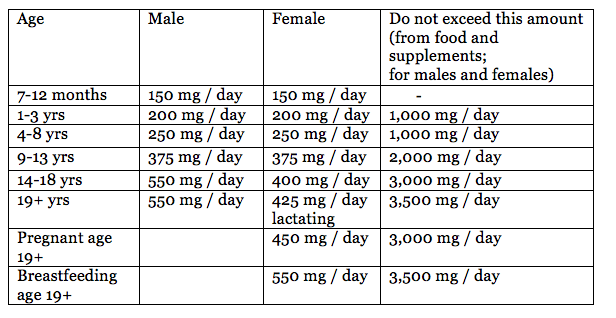 The amount of choline needed depends on your age. High intakes of choline from supplements can cause a fishy body odour, vomiting, excessive sweating and salivation, low blood pressure as well as potential heart and liver problems. Our bodies produce small amounts of choline, but not enough to meet our daily needs. 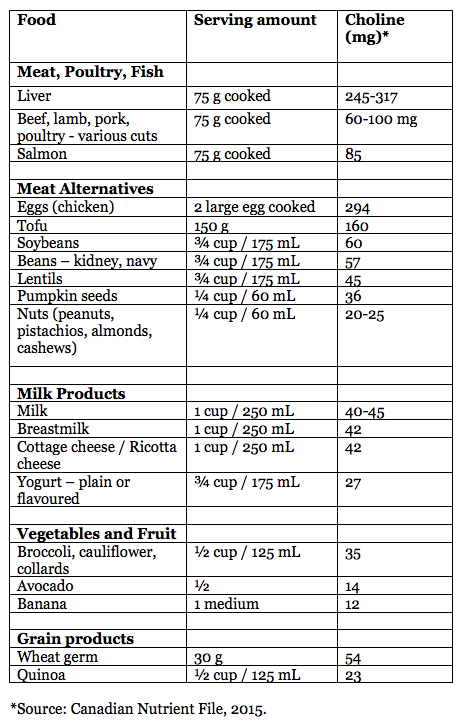 Liver, eggs (more specifically, egg yolks), meat and tofu are among the best food sources of choline.